In a very workman-like fashion, the Hope City Board dealt with a variety of municipal issues on Tuesday night, which saw no single predominate theme or storyline. There was the unusual sight of Hope Police Chief J.R. Wilson, who also acts as Hope’s Assistant City Manager, sitting in place of longtime City Manager Catherine Cook. Cook was announced as out of town due to family medical concerns, and several observers noted it was the first meeting in which she had not been at in years. Probably the most visible and public of the concerns Tuesday night both involved developments in downtown Hope, one presented by the Hope Beautification Committee and the other involving construction on the new Downtown Pavilion. Former Hope businessman Steve Atchley has headed the city’s current beautification committee since its inception, and he unveiled plans for placement of a new “Welcome to Downtown Hope” sign at the city flowerbed facing Walnut and 3rd Street. The total cost of the new signage was announced as $3,500 with the Tourism Commission paying for $2,500, according to Atchley. The balance of the cost, $1.000, will come from the committee’s budget, which is already allocated within the City of Hope’s approved budget. The motion of the evening, as Hope Mayor Steve Montgomery noted, was to allow the group to permanently mount the sign as the flowerbed is city-owned property. The board approved the signage unanimously. During his presentation, Atchley cited the involvement of the Chamber’s new Leadership Class, many of whom were present Tuesday night, and the design of artist Greg Wolfe. The soon-to-be completed Downtown Pavilion was originally on the agenda regarding a change order for $8,921, which Wilson said had the potential to finish the project within a week. The order, cited by Deaton Construction, involved installation of a sprinkler system, concrete saw cut, labor and materials for $5,245.05, and Bermuda sod for $3,676.45. Parks and Recreation Director Paul Henley announced that he had access to soil and sod from an existing resource, and that his crew could take care of that aspect of the work. Board member Mark Ross noted that the city could save over $3,500, if they used the sod from Henley’s crew. During the citizen’s comments, the subject of the Pavilion came up again, when John Akin asked about charges and rents for the new facility. Montgomery, consistent with what was said at last week’s Tourism Commission meeting by Henley on the exact same subject, said that no fee schedule or public rental rates had been established yet. Wilson advised Montgomery that a non-profit could be exempt. Akin asked if some people would pay, while others would not. The prevailing answer appeared to be that no fee schedule had been set by the Board yet as exists with other city facilities. During the Tourism Commission meeting, Henley had said last Thursday that a fee schedule for both the Pavilion and the new Log Hut could be presented at the next Tourism Commission meeting, presumedly next month. 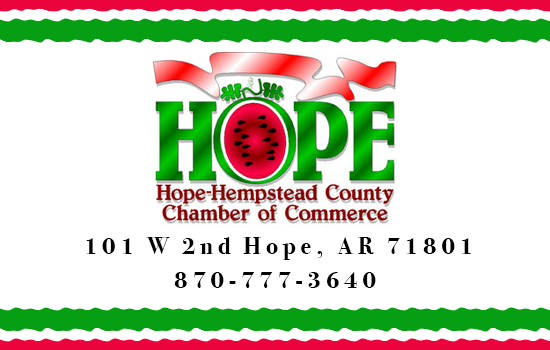 Three members of the Hope City Board, Montgomery, Trevor Coffee and Don Still also sit on the Tourism Commission, while Henley serves a role as its staff chair. 21, Township 12 South, Range 24 West located on N. Hazel Street. The announced purpose was to allow for storage of plumbing material and equipment. The board approved the request. • A second rezoning involved a changing an I-1 Heavy Industrial to R-5 Residential to permit the placement of a manufactured home at Finley Addition Block 4 Lots 4, 5, & 6 located on N. Laurel St. Although the principals for the application were not present, Kathy Akin of the Planning and Zoning Commission was, and she indicated that other mobile homes were present in the area. The board approved the request. * Wilson himself had a measure before the board for the installations of equipment and graphics for two new police cars; Wilson noted that it has been a police initiative to replace and enter two new cars into the fleet annually. Wilson also said that both bidders, Cap Fleet Upfitters of Little Rock and Dana Safety Supply of North Little Rock, had done work for the city before, and both were good vendors. The board approved the low bid, coming from Cap Fleet for $11,481. • Still, the sitting Vice Mayor, was absent Tuesday as was board member Linda Clark. From the last Tourism Commission meeting, Still had advocated that the city’s “Hamburger Tax” ordinance be revisited and placed on the city board’s agenda, but it did not appear Tuesday night. As a city ordinance, the food and hotel tax funds the activities of the Tourism Commission, but collections have been an ongoing issue.